Nr. M00297825038UsedVeryGood. Versandkosten:Versandkostenfrei ab einem Warenkorbwert von 10€, 1-3 Tage, zzgl. Versandkosten. [EAN: 9780297825036], Gebraucht, guter Zustand, [PU: Orion], Ships from the UK. Former Library book. Shows some signs of wear, and may have some markings on the inside. This brilliant journey through evolutionary biology takes in some 40 tales as new generations of life on earth are added. 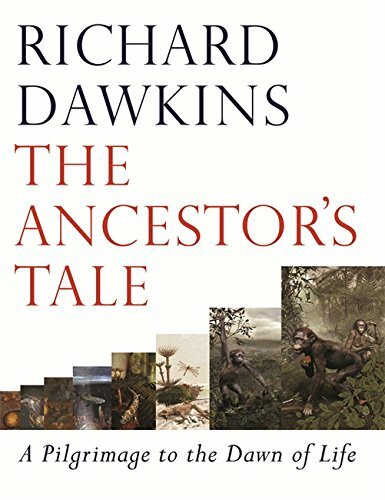 From the Elephant Bird's Tale to the Marsupial Mole's Tale, Dawkins makes this scientific voyage of discovery both illuminating and insightful, with an appealing tone that will suit the general readership as well as the more seasoned evolutionary historian. "The sort of popular science writing that makes the writer feel like a genius" "New York Times"